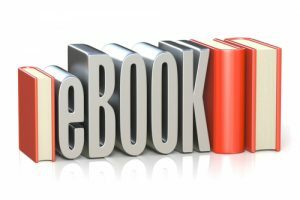 An ebook is the classic lead generation tool for a good reason. It motivates your audience to share their contact information and gives you space to show off your expertise. Plan your ebook well and you can create an asset that keeps bringing you construction leads for years. Catch them early – People in the early “awareness” or “interest” stages of your sales funnel are the most likely to be influenced by your ebook, so keep that in mind when you choose your topic. If you offer home remodeling services, consider creating an ebook about prioritizing home upgrades. Balance educating and selling – Teaching your readers helps you hold their attention and earn their trust by showcasing your expertise. If you expect them to stay with you after they get the information they want, though, you’ll need to lead them forward. When you talk about the benefits of a construction feature, technique or material, make it clear your company can provide it. End your ebook with a call to action, such as an invitation to download a detailed case study or a video course. Keep your style simple – A simple, conversational writing style makes it easier for your readers to understand the often complex ideas involved in planning a construction project. It also shows your readers your approachable human side, which helps build rapport. Present it well – Good visual presentation encourages your prospects to actually download the ebook you’ve been talking up in your blog and social media posts. Create an attractive cover or hire a graphic designer for one. Give your ebook its own landing page with compelling copy and graphics that convey the key benefits. Does Email Lead Generation Really Work? Building an email list takes some work, but your efforts can pay off for your construction company in ways you might not expect. In fact, email lead generation is one of the most effective and time-efficient ways to attract more leads and turn them into clients. Some 42 percent of companies find email to be one of their most effective channels for pulling in leads, according to Circle Research, and for B2B companies, that number rises to 88 percent. Email marketing brings in leads more effectively than social media marketing, even though managing your social media can easily take up more of your time. Your email list can bolster your social marketing efforts, too. Your email list readers are three times more likely to post your content on social media than people who find your content in other ways. For the average business, nearly 80 percent of the leads that come in never turn into customers or clients. The main reason isn’t the leads’ disinterest, but the businesses’ failure to nurture those leads. Email lets you keep in contact so you stay fresh in your leads’ minds and it gives you a way to offer further proof of your expertise to reinforce their trust. That’s especially important in the construction industry where your prospects might spend months selecting a company and arranging financing before they’re ready to get down to business. How well email lead generation works for your company depends on what you do with your email list. One of the most effective ways to pull more leads from your list is by using triggered campaigns rather than a single general email list. A triggered email campaign is a specialized series of emails sent when someone takes a specific action, such as downloading a free whitepaper. It’s tailored to the readers’ interests and guides them toward the next step, which might be setting up a meeting or attending an open house. Posted on April 24, 2018 Author David MineerCategories NewsTags build email list, email lead generation, email leads, email marketingLeave a comment on Does Email Lead Generation Really Work? 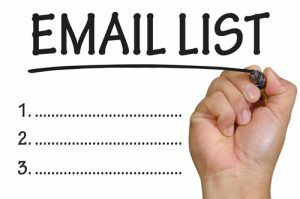 A responsive email list is one of the most valuable assets your construction firm can have, but not all lists are equally profitable. Knowing how to build an email list of the right people is what will make your email marketing efforts worth while. If you expect your email list to be profitable, you’ll need readers who are likely to hire you eventually. Because your blog and other website content are among your most powerful tools for attracting leads, make sure what you publish is highly tailored toward the needs and interests of your ideal clients. If you’re stuck for ideas, think about your prospective clients’ most common questions. Answering questions such as “Do I need to work with an architect or structural engineer?” and “Can I install the electrical in my commercial building myself?” will give you plenty of material for client-oriented blog posts. Extend this approach to your social media accounts and aim to make your posts useful and entertaining for the kinds of clients you want most, while also letting them know about your email newsletter. Promote your list offline, such as through displays at your trade show booths and your office’s front desk. Considering the over-abundance of information online, many of your visitors will be hesitant to sign up for your mailing list without a good incentive. Offering something of value up front in exchange for joining can give them the nudge they need. Try offering a multi-part email course, original building industry data you’ve collected, or an intriguing case study or whitepaper. Not all incentives will bring you responsive readers. Running contests tends to result in a list of people who signed up only for the chance to win something. Likewise, buying email lists is unlikely to produce any clients. Learning how to build an email list is largely a matter of focus. Concentrate on attracting the right audience through targeted social media marketing and solution-oriented sign-up incentives, and you’ll build a responsive list you can rely on for sales.